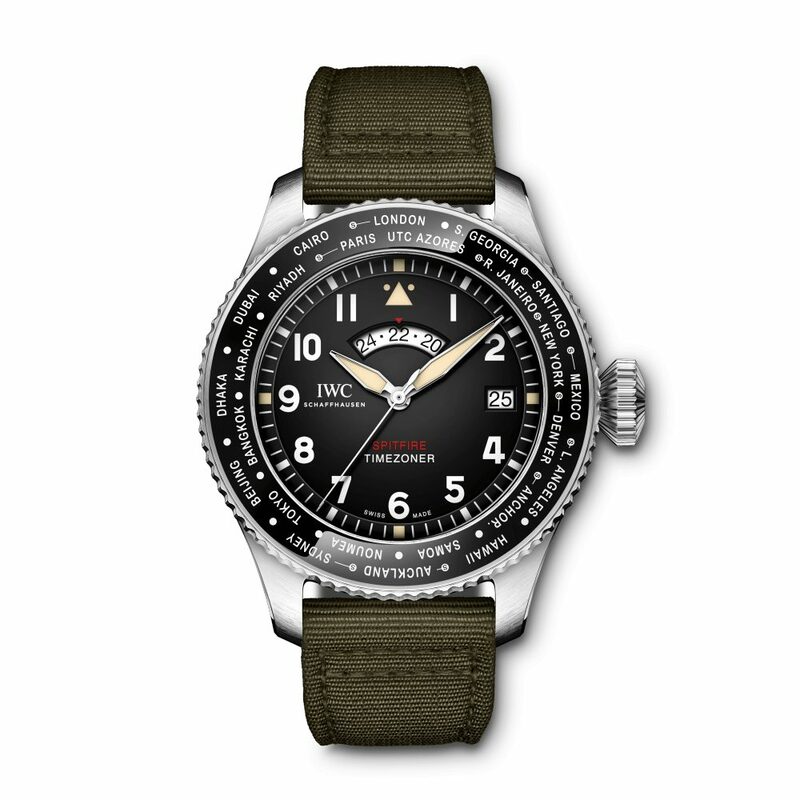 In what may be the longest name for a wristwatch, in the world, IWC has released their Pilot’s Watch Timezoner Spitfire Edition “The Longest Flight”. It’s an announcement that was made just before SIHH, which took place Janary 14-17 2019. There are only 250 going to be made, and they look fantastic. The IWC Pilot’s Watch Timezoner Spitfire Edition “The Longest Flight” is the successor to previous Spitfire watches, and previous Timezoner chronographs. The Spitfire is so named because it’s meant to remind the wearer of the cockpit of a Spitfire aircraft. The previous Timezoner chronographs managed to be worldtimers, GMT watches, and chronographs, all in one. Frankly, for most people, that’s a lot of complications to deal with. Here, there’s no GMT hand, and no chrono function, just worldtiming, and window for the 24 hour indication instead of a GMT hand. We do wonder why the window has to be open wide enough for 3 hours instead of the one that’s being indicated, but IWC did not ask us. The ceramic bezel rotates in either direction to select the city for the worldtimer function. Move a city to the 12 o’clock position for worldtiming. Unlike many other GMT watches, the local and home time are tied together, and cannot be adjusted independently. When you rotate the bezel, it adjusts the hour wheel, 24 hour display, and date wheel directly. The cool thing is, you could step off a plane, twist the bezel to the new city, and have every part of the watch adjusted almost immediately. That’s IWC’s Timezoner function in a nutshell. Because it acts on the hour and the 24 hour display at the same time, the 24 hour display becomes more like an AM / PM display. The watch uses an automatic movement with some ceramic parts for longer wear life, and provides a very competent 60 hours power reserve. IWC developed the watch specifically for two pilots, Steve Boultbee-Brooks and Matt Jones, to assist them in their circumnavigation of the globe in a Spitfire. The stainless-steel case, black dial and green textile wristband were inspired by colors from the Spitfire’s cockpit. The price for this 250-piece watch is $12,400,and you can see more at iwc.com.